Over the years Alter Bridge have dived through various avenues within stadium rock to push their brand forward. Early albums, “One Day Remains” and “Blackbird” were the introduction to the formula of the Florida band. Which is essentially delivering crunchy as hell riffs, fronted by the powerful voice of Myles Kennedy, along with pushing in some beautiful melodies. That’s the Alter Bridge backbone we have all come to know and love. “AB III” was then a darker effort than many of us expected, and “Fortress” unveiled the evolution of technical prowess. The was a lot of pressure on “The Last Hero” after how impressive “Fortress” really was. Alter Bridge come out swinging with their opening song, “Show Me A Leader”, putting any doubt to rest. The song starts off with soft teasing melodies which lead into awesome an awesome shredding solo intro. This is swiftly followed by the trademark meaty riffs that Tremonti is recognised for. Kennedy’s voice is as inviting as always, but as soon as the chorus kicks in, you instantly know that this song is destined for massive crowds. The “WOAHH” chants are enough to put your hairs on end just knowing that when this is played live that thousands of people will be singing those chants. The hugely anthemic opener is followed up by “The Writing On The Wall”, which opens with more forceful riffs and Scott Phillips’ drumming really stands out with bouncy beats. Once again I can picture how this will be received live with a sea of people jumping to the intro. It’s a beastly start, and the song remains heavy musically throughout. Kennedy’s powerful voice then absolutely dominates the song, giving it more of a more of a melody. “My Champion” stands out as a sing along powerhouse with ultimate feel good vibes and no heavy riffs. It has a real classic rock n roll atmosphere to it. 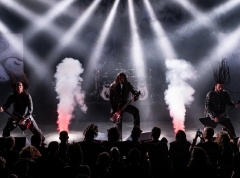 "Poison In Your Veins", then raises the tempo and brings back the crunchy riffage, only to be followed up by the hooking rock ballad, “Cradle To The Grave”. It starts off quite sombre, yet pushes for a massive finish, the guitar tones are dark and they gradually get louder. Tremonti then unleashes a great scaling solo that once again mesmerises, plus his scaling technical melodies layered on top of the closing riffs are out of this world. 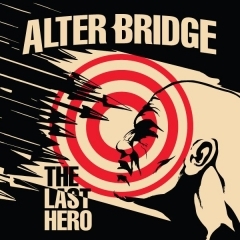 Alter Bridge continue to flutter between the heavy and the anthemic, blended influences of classic rock, rock n roll and hard rock flow through songs like “You Will Be Remembered” and “Twilight”. Though, it’s the thrash influence in "Island of Fools" that really pricks your ears. Tremonti’s desire to unleash monstrous riff work is once again fulfilled and he pulls off an impeccably intricate solo. The Florida band close out the album with some style in the title track, pulling off some of the harshest guitar sounds on the album with the most entrancing vocal melodies. 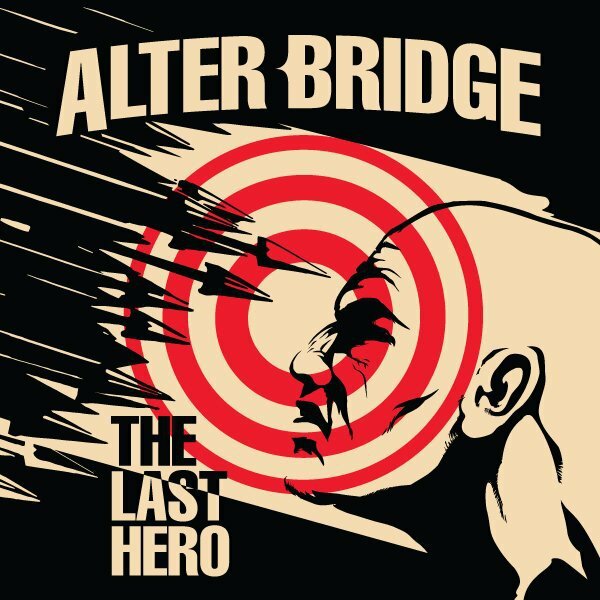 Alter Bridge strive for the big ending this album deserves. The delivery of the chorus is at the band’s anthemic peak, then Kennedy’s voice pulls you in even more for “Tell me where are the heroes?” segment in the bridge. Tremonti then saves his best solo for last, in which he shows levels of intricacy that never fail to impress. Mark Tremonti impressed me massively with his side project’s “Dust” album earlier this year, to produce another album of the same high-level calibre in such a small amount of time is just outstanding. He’s in the running to feature on two of 2016’s best albums in alternative music. Alter Bridge have proven to be an all-round juggernaut in rock music, pushing heaviness, melody and enjoyability to the extreme.